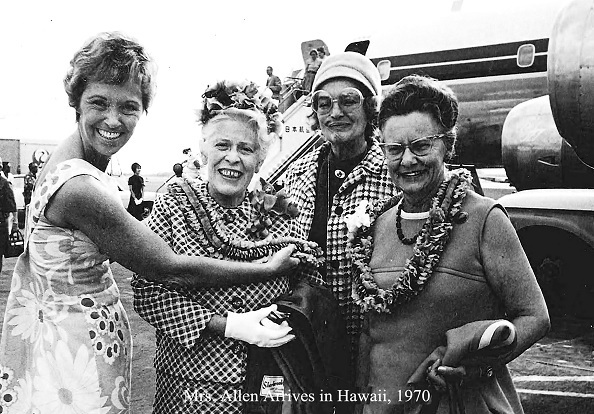 In 1956, Ellen Gordon Allen, a U.S. general’s wife who was stationed in Japan, founded Ikebana International in Tokyo. 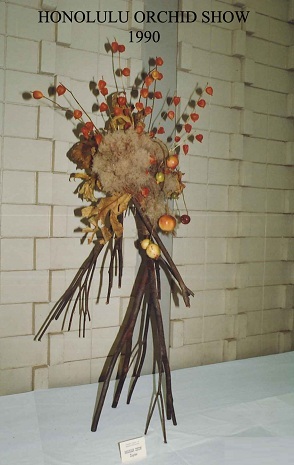 The purpose of this organization was to unite people of the world through their mutual love of nature and the enjoyment of ikebana. Their motto is ”Friendship Through Flowers.” Today, the organization encompasses more than 60 countries, with a membership of approximately 8,500 people. 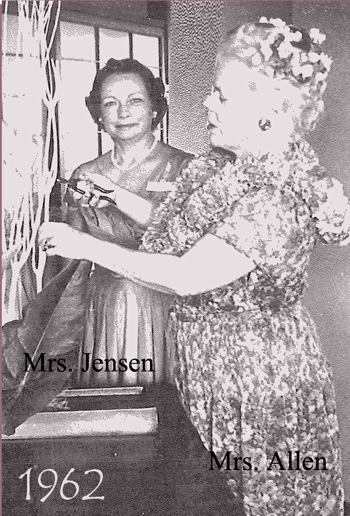 In January 1961, Pearl Jensen, another military wife and friend of Mrs. Allen, arrived in Hawaii. 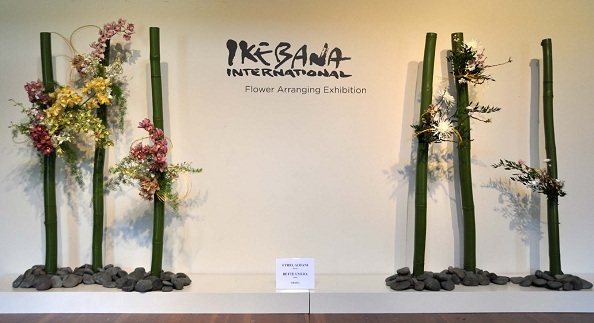 She attended an ikebana exhibit at Shirokiya Department Store and met local arrangers from Enshu, Ikenobo, Koryu, Ohara, and Sogetsu schools. 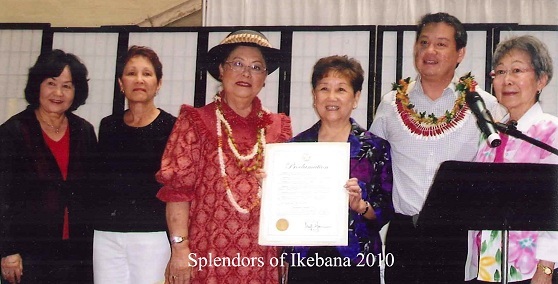 Along with several ikebana teachers and other military wives, she was instrumental in forming the first Ikebana International chapter in Honolulu. She was the first president to preside over the new chapter at a meeting at the Reef Hotel in September 1961. 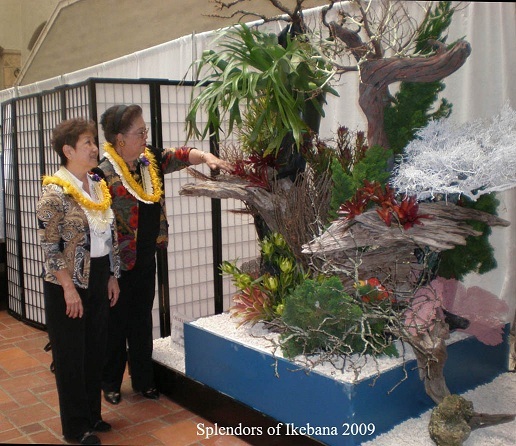 Over the years, the Honolulu Chapter has carried out its mission by holding special exhibits at the Honolulu Academy of Arts, Kahala Mall, Liberty House, Honolulu Orchid Show, and at Honolulu Hale’s Splendors of Ikebana. In 1995, the chapter hosted the 13th North American Regional Conference, welcoming 250 members from the continental US, Canada, Jamaica, Mexico and the Pacific Rim. Community service is also an important facet of the Chapter’s mission to educate and spread the appreciation of ikebana. Projects have included providing arrangements to Washington Place, the Japanese Consulate, Honolulu Academy of Arts, Lyon Arboretum, Bishop Museum, Japanese Cultural Center of Hawai`i, Moiliili Community Center, and Liliha Library. 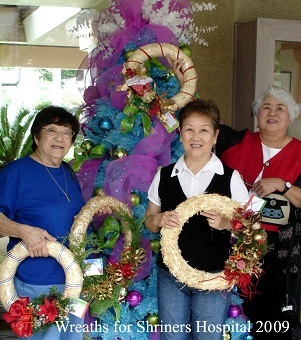 Members also have conducted classes or given demonstrations at various venues such as the University of Hawai`i, Roosevelt High School, Pearl City High School, the Veterans Center at Tripler Hospital, Leahi Hospital, Tokai University, and the Joint Military Spouses’ Conference at Kaneohe Marine Corps Base. In 2002, the chapter began classes for children 5-15 years old. Currently two teachers offer such classes. (Please see Comunity Service for more information on these classes.) Two years later, this Honolulu website was launched to allow more people to access information about our chapter including a membership application and pictures of our current activities. 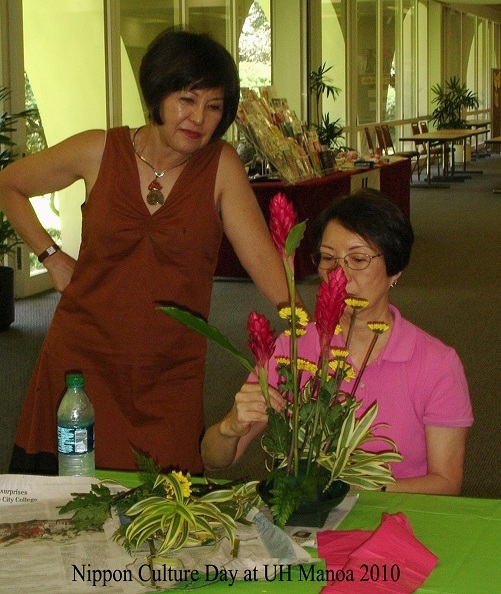 The Honolulu Chapter 56 celebrated its 50th Anniversary in 2011, titled “A Golden Celebration of Ikebana: 50 years of friendship through flowers,” with a gala luncheon, floral exhibition, and workshops featuring guest artist, Mrs. Kika Shibata, Riji, from the Sogetsu School in California.